The three letters commonly referred to as the “pastoral epistles” (1 Timothy, 2 Timothy, and Titus) are labeled as such because they are the only letters Paul addressed to fellow workers with pastoral responsibilities. All but one of Paul’s other letters were explicitly addressed to churches, and that one letter (to Philemon) was addressed to an individual and the church that met in his home. On the contrary, the letters to Timothy and Titus are addressed specifically to individuals. They deal with issues related to the leadership of the church. Many scholars today do not believe Paul wrote these epistles, but their arguments remain unconvincing. There are a number of helpful commentaries on the Pastoral Epistles, and the following are five of the best. 1. George W. Knight, III — The Pastoral Epistles (New International Greek Testament Commentary, 1999). George Knight’s commentary on the Pastoral Epistles is the best contemporary commentary on these books. Knight takes a thoroughly conservative and orthodox approach to the interpretation of the letters, rightly attributing them to Paul. The only drawback is that this commentary is technical and assumes a working knowledge of Greek. For those with such a knowledge, it will prove to be very valuable. 2. 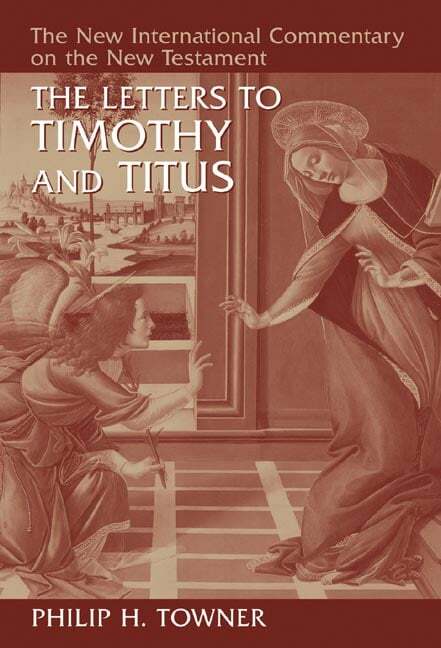 Philip H. Towner — The Letters to Timothy And Titus (New International Commentary on the New Testament, 2006). Philip Towner’s commentary in the NICNT series is less technical than Knight’s, but it is still an imposing work at over 900 pages. Despite its length, it remains accessible to most educated readers. Like Knight, Towner rejects the conclusions of critical scholars who deny Pauline authorship of the Pastoral Epistles. 3. 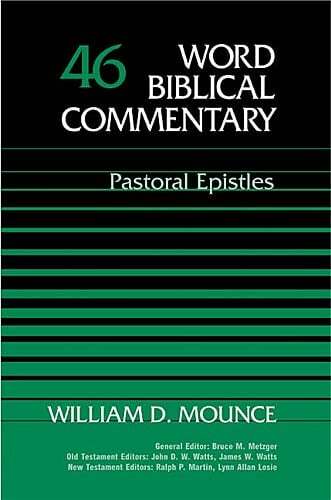 William D. Mounce — Pastoral Epistles (Word Biblical Commentary, 2000). Many will recognize William D. Mounce as the author of the widely used Basics of Biblical Greek Grammar. His commentary on the Pastoral Epistles in the Word series is very helpful. Mounce thoroughly discusses all of the important issues raised by Paul (whom he believes wrote these epistles), and when dealing with controversial parts of the letters, he fairly represents those with whom he disagrees. All in all, a very good commentary. 4. Donald Guthrie — The Pastoral Epistles (Tyndale New Testament Commentaries, 1990). For those seeking an accessible, introductory level commentary on the Pastoral Epistles, the work by Donald Guthrie in the Tyndale series is probably the best place to begin. Guthrie takes a conservative approach to the books. He addresses all of the objections to Pauline authorship and finds them unconvincing. This is a very helpful verse-by-verse commentary. 5. 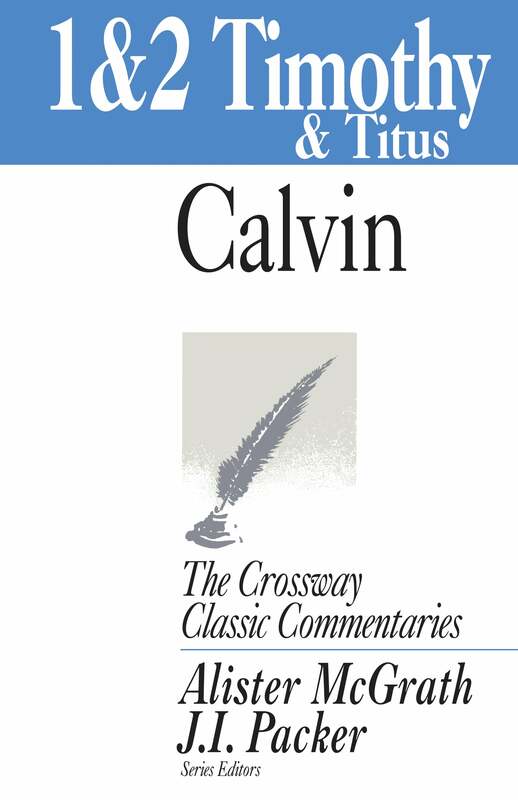 John Calvin — 1 and 2 Timothy and Titus (Crossway Classic Commentaries, 1998). I would recommend John Calvin’s commentaries on every book of the Bible for which he wrote a commentary. He is a master exegete, and even after 500 years, his works are worth consulting by all serious students of Scripture. Crossway has put together a series of classic commentaries in an affordable paperback format. The work by Calvin on the Pastorals is particularly interesting because of the insight it gives us to the Reformation understanding of church leadership. A must-read. 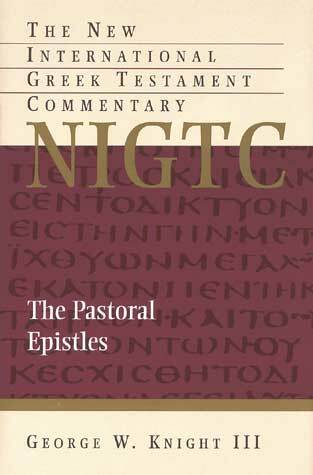 There are a number of other helpful commentaries on the Pastoral Epistles. Among them are the introductory level works by William Barclay, Douglas Milne, and Walter Liefeld. Students doing in-depth research into these books will want to look at the works of I. Howard Marshall and Quinn and Wacker (Vol. 1, Vol. 2). Pastors should also consult the older commentary by Patrick Fairbairn.